Half the fun of adding aftermarket lights to a Jeep is the sense of power and control it gives you. Who doesn’t want to sit in their cockpit, surrounded by switches that turn an otherwise pitch black trail into a bright white Jeepers domain. After talking to several folks, I knew that I wanted to find a high tech system that would be reliable over the long haul. 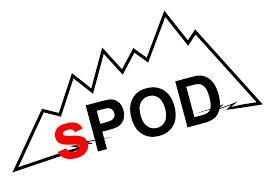 The name sPOD kept coming up over and over again in these discussions and since “Powered by sPOD” fit in with my thoughts above, I was hooked. I was blessed to have met Cinde Angelastro and crew at Jeep Beach 2015. 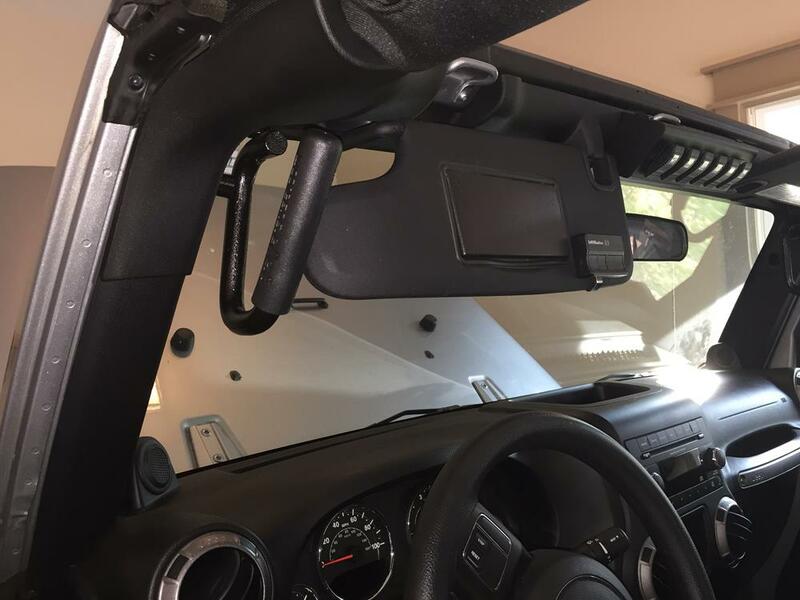 They offered to get behind the Rightline Gear Jeep Build with a 6 Switch sPOD System with Amber LED Contura rocker switches, 600-0915LT-LED A. I was also given the App-driven Remote Control Power Module, RCPM, to try. 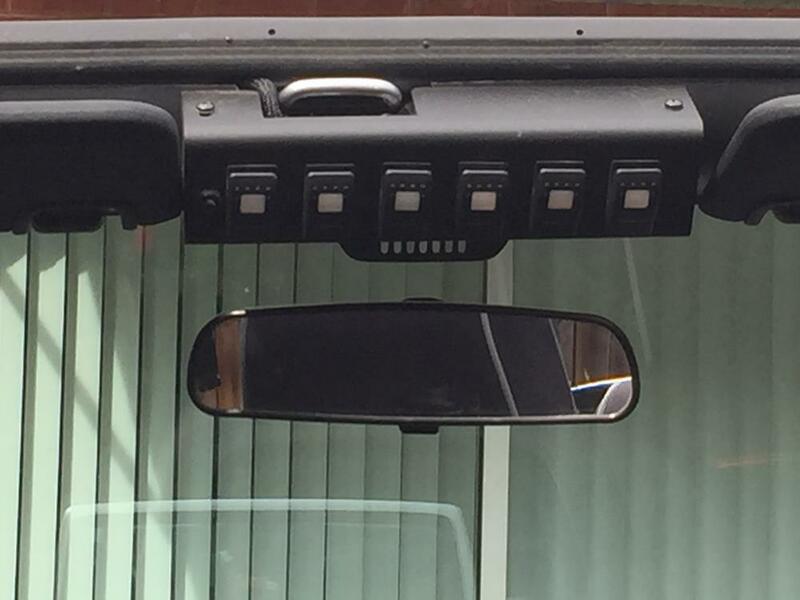 “There’s and App for that” really gained new meaning when the App is used to control the lights on your Jeep! 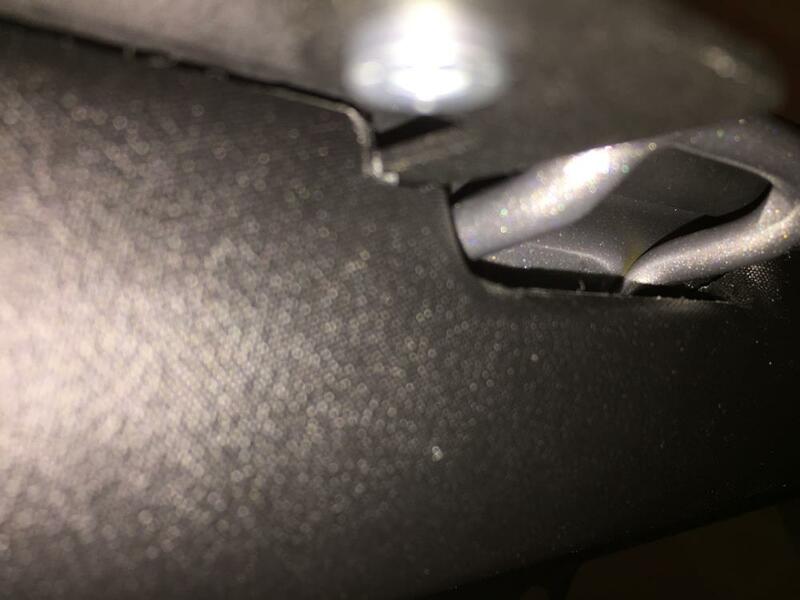 To begin the installation, I took off the plastic header above the Jeep’s windshield. I bolted the switch bracket over the footman loop. I needed to make small cutouts in the plastic header to fit around the switch bracket. I routed the wiring harness behind the plastic windshield frame and behind the driver side plastic pillar. I attached the switch bezel to the switch bracket. 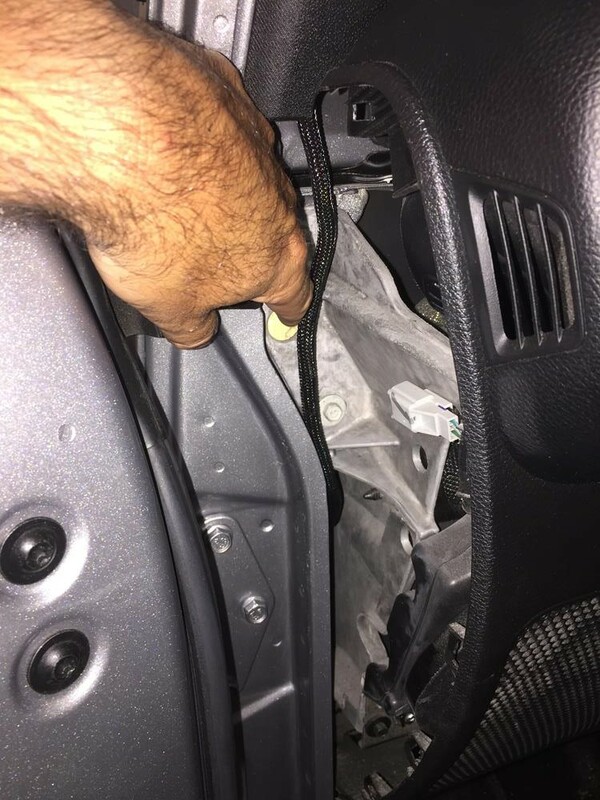 I fed the wiring harness behind the dash at the driver side door. 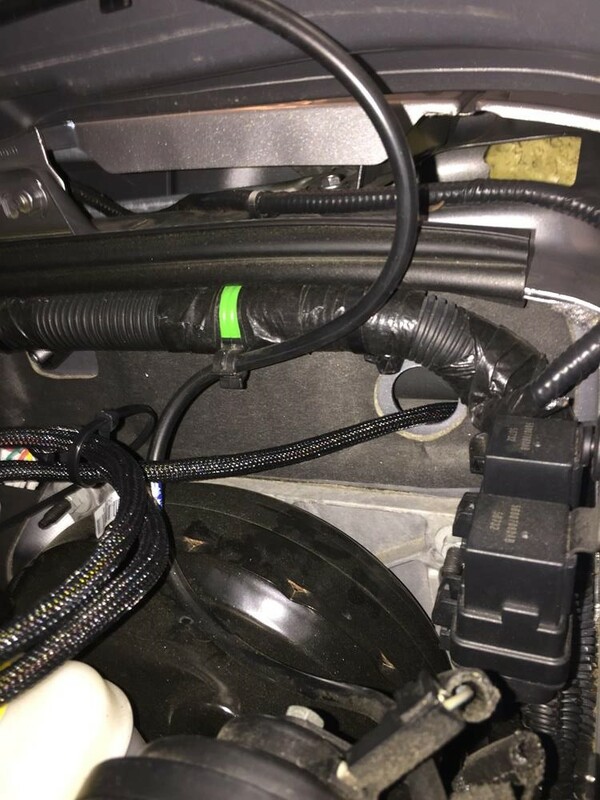 I used a coat hanger to pull the harness through the hole into the engine compartment, attaching it to the connector on the sPOD Control Unit. I bolted the sPOD Control Unit to the driver side fender using the supplied bracket. The power cables with their auto reset circuit breakers are zip-tied along their path over to the battery. 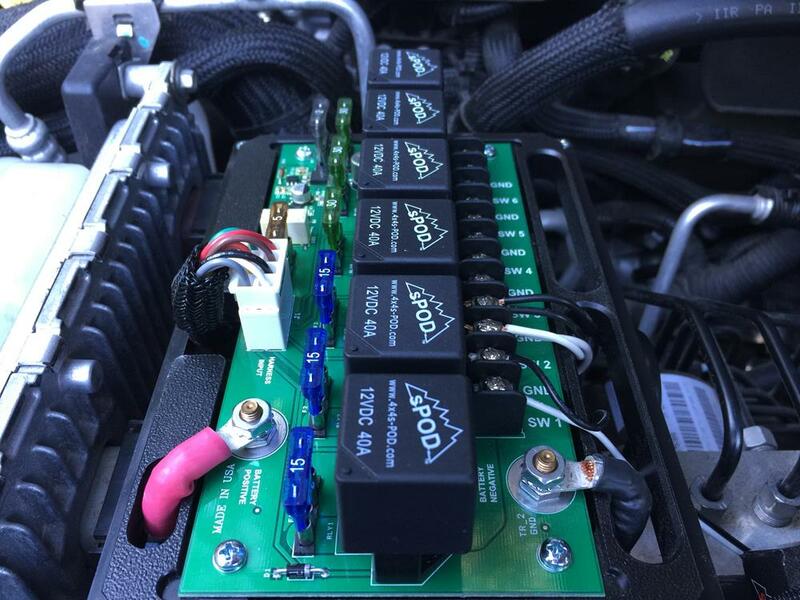 Each of the aftermarket lights connect to a position on the sPOD’s circuit board which is accessed by releasing the metal cover. Each position has its own fuse and relay built in. A word of warning: staring at a bank of (6) open switch connections is a sure way for you to start thinking about adding more lights – it is normal. If you are asking yourself whether or not you need them, it probably means that you do! 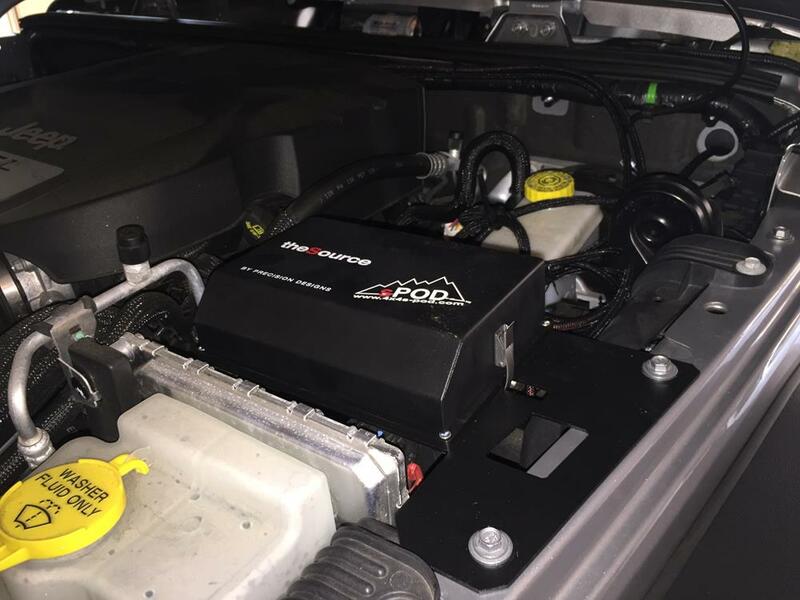 The system can also accommodate on-board air, radiator fans, air lockers, line locks, etc. 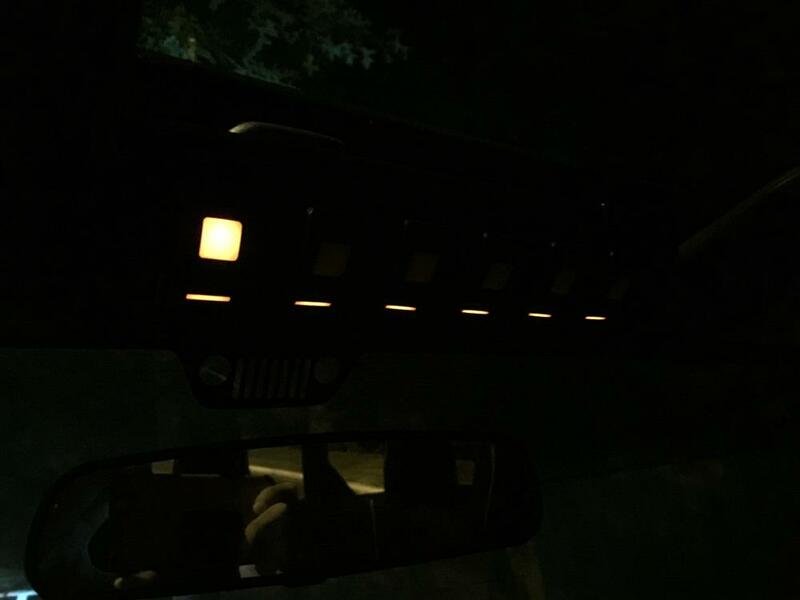 Inside the vehicle, the bottom row of lights on the sPOD switches remain constantly lit and the top row lights up when a switch is depressed. If you want to shut off the bottom row of lights, you can simply engage the small button to the left of the switches. During the day and at night, the switch panel looks great in its mounting location. 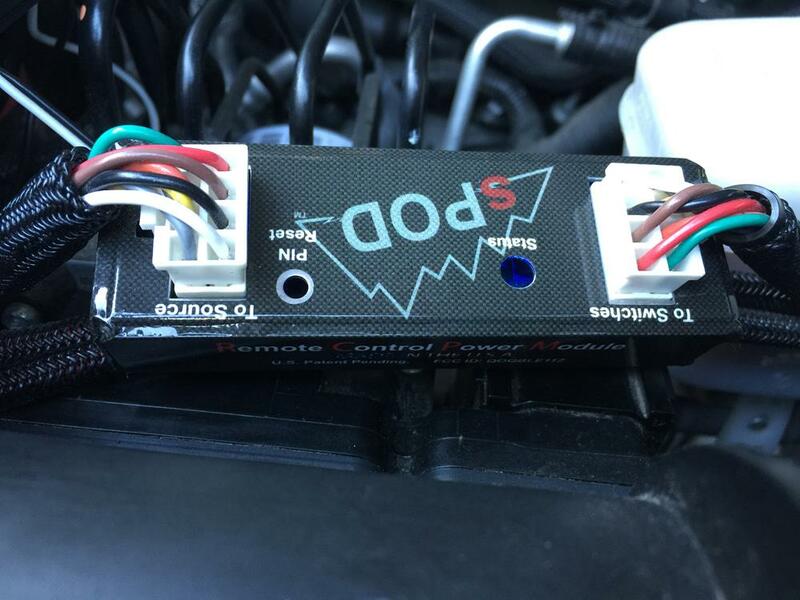 I connected the sPOD Remote Control Power Module between the switch panel’s wiring harness and the sPOD Control Unit with a supplied smaller wire harness. 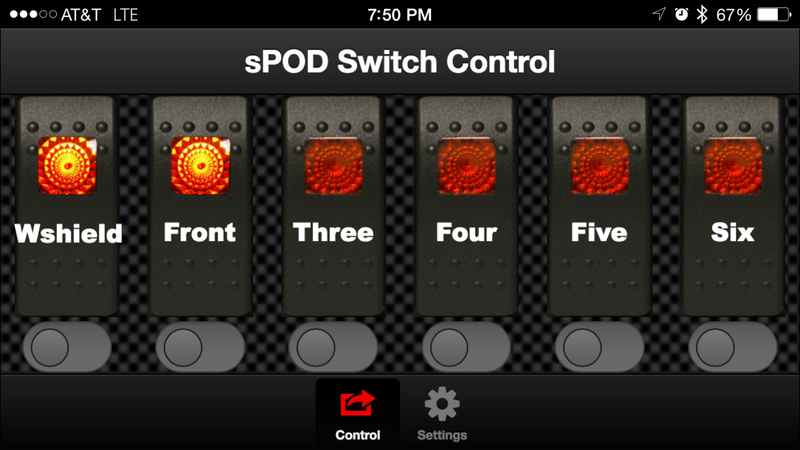 After installing the sPOD App on my iphone, I paired the Power Module with my phone through Bluetooth. The App lets you set up the screen on the phone to mimic your set up in the Jeep (color of switches and names). As you can see, when you use the App to turn on lights on your Jeep, the switch lights in the App will come on as well. 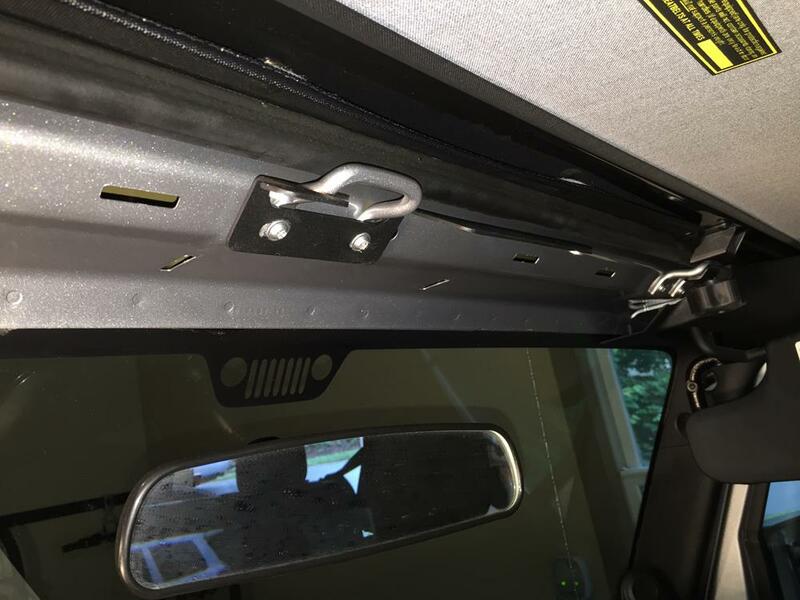 I set a PIN to secure the connection with my Jeep. I am now armed with remote lighting power. Overall, this system works great and still leaves me with capacity for future lighting additions. I can now truly say “Powered by sPOD”!